If you’re of a certain age, you’ll fondly remember a brand of shoes called Hush Puppies. They were casual leather shoes made from pigskin, and in the 1960s were ubiquitous among the public. Like many older brands, they went away for a while, but they had a comeback in the 1990s and they’ve expanded into fashion accessories, including Hush Puppies watches. You wouldn’t expect wristwatches sold as an accessory from a shoe company to be interesting, but Hush Puppies watches offer some nice features, some interesting styling and decent build quality, all at an affordable price. 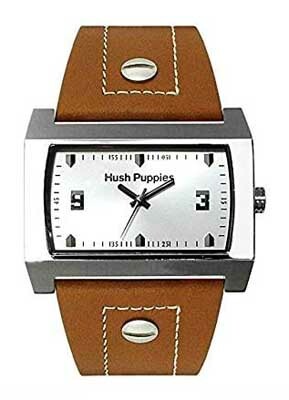 While the brand is owned by Wolverine Worldwide of Michigan, Hush Puppies watches are licensed by and manufactured by Gevril, a Swiss watch manufacturer that owns a number of watch brands, including Johan Eric, Rudiger, and Haurex. 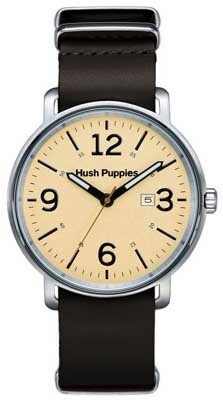 The shoes date to 1958, but Hush Puppies watches are a relatively new item, with the line having been launched in 2002. Read on for the full Hush Puppies watches review. 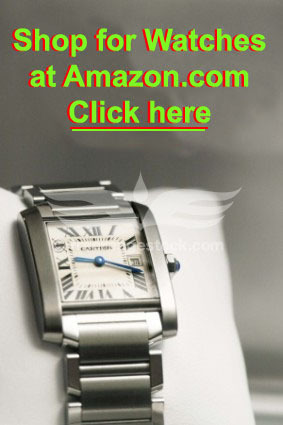 The build quality is surprisingly good, given that the watches are affordably priced and sold as fashion accessories. Cases are made from stainless steel and the watch face is protected by mineral crystal. Water resistance is typically about 30 meters, though that can vary by model. Bracelets are made from stainless steel, and some have carbon fiber inserts. Some models come with either a silicone or leather strap. All of the company’s watches feature highly reliable quartz electronic movements, sourced from Japan. Quartz movements are accurate and reliable, and offer the additional benefit of not requiring much in the way of maintenance. You’re not going to find any true innovation here; they’re sold as fashion items. Still, there are some chronographs in the product line, and a surprising number of models that feature day/date complications. Some of those day/date models display that information in non-traditional ways, including a couple that have a hand that points to the day of the week. The 1958 collection features austere, classic designs that evoke that time period, while the Freestyle collection features more “out there” designs. The Orbz and Signature lines are more fashion-conscious, and the Orbz models are time-only. Colors run the gamut from silver, blue, black, brown, yellow, orange and white, and there are a surprising number of blue-tinted timepieces in the Hush Puppies watches line. A few models feature rectangular cases, giving them a look that’s rather unique. You won’t find gold or diamonds in this brand; they’re far too inexpensive for that. Still, they have dozens of models from which to choose and a surprising variety of styles. Care and maintenance is relatively simple and painless. As they all are powered by quartz electronic movements, you’ll have no regular maintenance aside from replacing the battery every 2-3 years. As with all watches, you should store your watch away from strong magnetic fields and extremes of temperature and keep them away from moisture. With care, your watch will run well for years to come. The warranty offered is a typical one. You’ll receive a two year warranty against defects in materials and craftsmanship. This is the industry standard warranty; more than 90% of all watch manufacturers offer a warranty of two years in length. Defects are likely quite rare, as these watches are well-tested prior to shipping. If you’re looking for an attractive wristwatch at a price that won’t leave you broke, you’ll love Hush Puppies watches. They’re not “cheap” watches by any means, but as designer watches go, Hush Puppies watches are pretty affordable. Prices range from a low of about $50 to a high of about $300, putting them well within the reach of nearly all watch buyers. The low end of the price range will get you a variety of time-only models, while the higher end will give you a choice of additional complications. You can likely find these watches for sale at a few brick and mortar retailers that carry the Hush Puppies shoe line, though you likely will not find them at fine watch shops or jewelry stores. 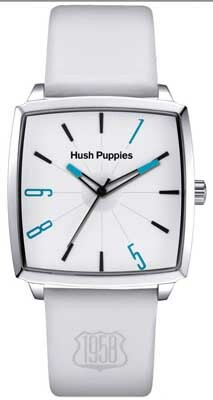 You can also find Hush Puppies watches for sale at a number of online retailers, including most of the major ones. Amazon has a large selection, as they seem to be the preferred retailer for the Gevril group. If you’re looking for the largest selection of timepieces in this line, we’d suggest that you start there. Everyone has different reason for wanting to buy a wristwatch. Some buyers want gemstones and precious metals. Others want elaborate mechanical complications to dazzle their friends. If you’re in that last group, you may find this brand to your liking. They offer dozens of styles in a variety of colors and shapes. They have a reasonable selection of additional complications. They’re fairly well built. And they are priced in such a way that they’re not going to cost you a fortune or require you to take out a loan. All in all, Hush Puppies watches offer good styling and great value.